Summer is actually here and I am so excited. This change in season is the perfect excuse to begin our summer shopping. Today I wanted to share with you my top 5 summer beauty products. I will try to include some practical items but also some fun items. If you wanted to see a drugstore version stay tuned as it is coming soon. I'm going to start with a base and my favourite for summer is Bare Minerals original powder foundation. Personally I'm either all out or no make up whatsoever during the summer so I love to use this foundation. It gives me a flawless look without being heavy or cakey. Not only does it have SPF 15 in it, which is perfect for the summer, but I can still feel made up without looking cakey or feeling the foundation on my skin and for that reason I think this will be a life saver this summer. As you can tell mine is a travel sized pot which is really convenient as here in the UK you only need to drastically change your routine if you are going abroad. Therefore the travel sized pot makes it really convenient for the summer holidays. It also means it won't melt or break as easily as cream or liquid foundation would. Next up I'm going to talk about a bronzer. 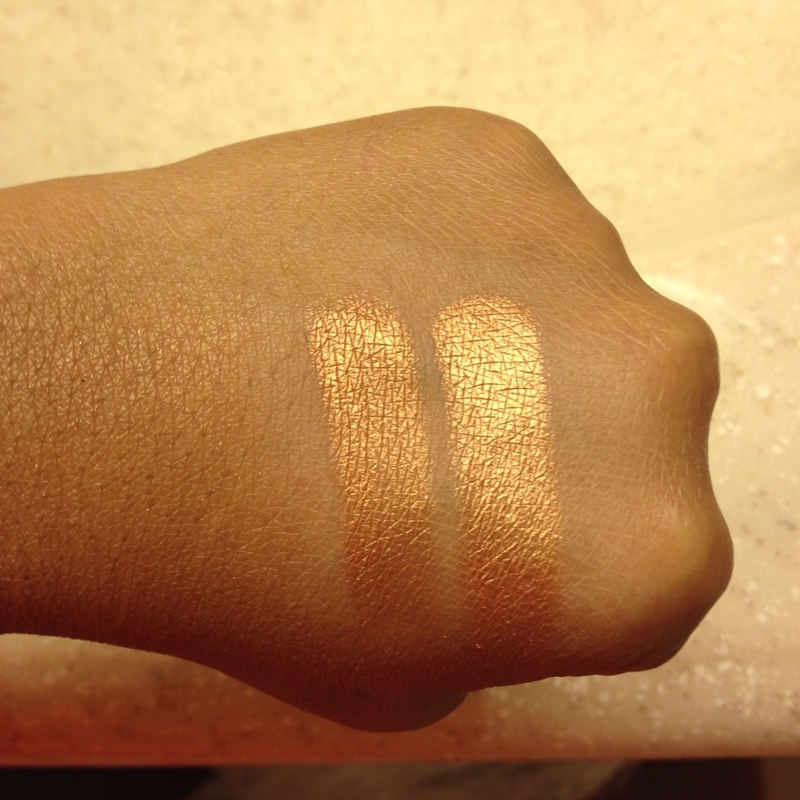 This item I am going to talk about is a liquid bronzer so you can't actually use it with the powder foundation mentioned above but you can wear it on its own or with other foundations. The Dew the Hoola by Benefit is a matte bronzer that gives you a lovely soft tint. It has the orangey cast of a fake tan so it's perfect to use instead of tanning your face under the dangerous rays of the sun. However this orangey cast also means it can't be used as contour. Just put it on the places where the sun naturally hits: cheekbones, forehead, the tip of chin, bridge of nose or even your collarbones. It gives a very natural sun kissed glow to the skin and makes you look golden. Again I have this in a travel size as it is perfect to take on holiday. The liquid texture soothes dry summer skin but also works with oily skin, which I have. for make up however I am really impressed with this bronzer and would recommend it. For eyes, summer always means a golden, bronze goddess look. 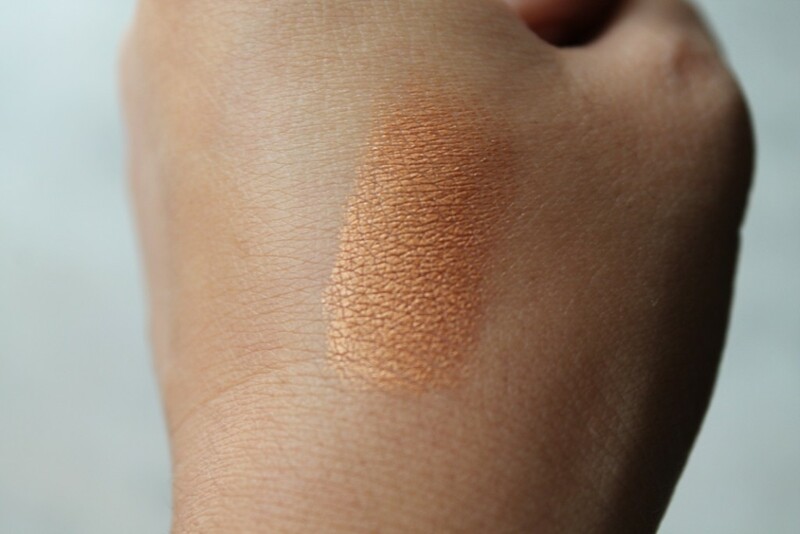 My favourite shimmery shade - ever is MAC's all that glitters. It gives a lovely shine without being to dramatically sparkly and unwearable. However if you do want to wear it in the evening it can be applied wet to give a more intense, glowing foil esque look. It looks very pink in the pan however when you swatch it you can see that it is actually a rose gold that reflects copper if in the right lighting. It is my summer must have eye shadow as it is so beautiful and delicate and I think everyone needs to own this. Now this didn't really photograph true to colour so I have included some swatches, that I found on google, which I feel more accurately depict the colour. However to get a true feeling for the colour I really recommended swatching the colour if you pass a MAC shop. The last thing I wanted to talk about is another bare minerals product and it's the Marvelous Moxie Lipgloss in Rockstar. It is an orange toned pink with very fine reflects of pink and gold glitter. I love this lip gloss because it's really hydrating and also smells amazing. It has a sweet soft peppermint smell that is a really refreshing scent, perfect for the summer. I picked this specific colour because orange is always a colour that comes out in the summer and with this lip gloss you can have a light wash of orange without committing fully to the bright orange lipsticks. It also has pink reflects that give it that dimensional juicy lip look that seems to be in fashion during the summer months. I really love this lip gloss because it feels really light weight but also looks beautiful and glossy. That is everything I recommend for this summer season. I love all these products but as usual opinions will vary from person to person so let me know what 5 high end products you recommend this summer.